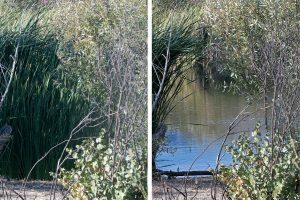 September 29 was another warm fall Saturday and another day of cutting cattails at pHake Lake. This time volunteers concentrated on the south shore of the lake, where access to the lake was almost totally blocked. 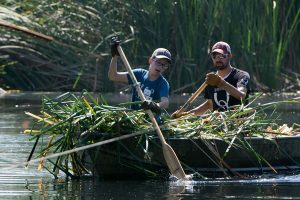 After cattails were cut, they were piled into boats and hauled across the lake to the boat landing area, where they were piled for later collection and mulching or composting. Jeremy Hall and Luke Hall bring a load of cut cattails back across the lake. ©Nancy Hamlett. 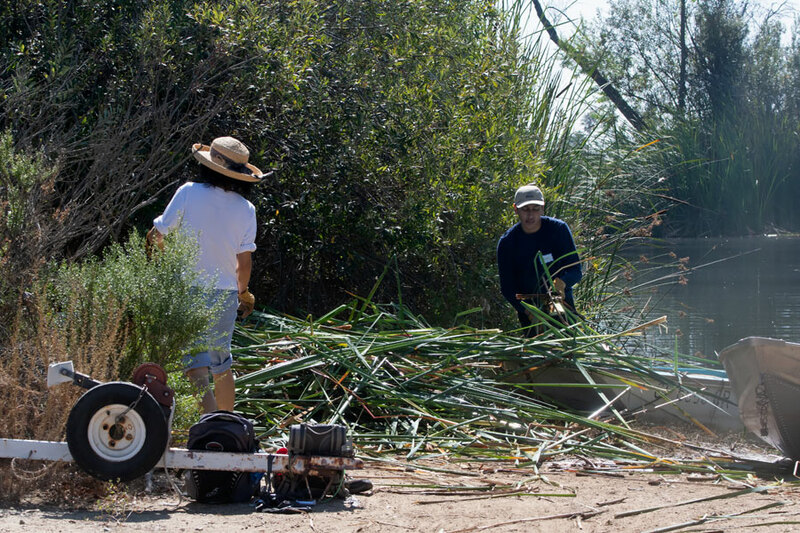 Chia-Yun Chin and Kevin Jimenez unload cut cattails from the boat. ©Nancy Hamlett. 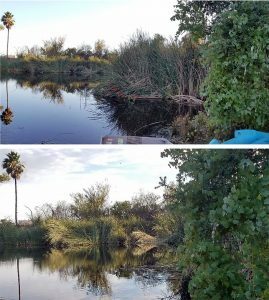 The south shore access was dramaticlly improved, as you can see from these photos! View of the lake from the south shore. 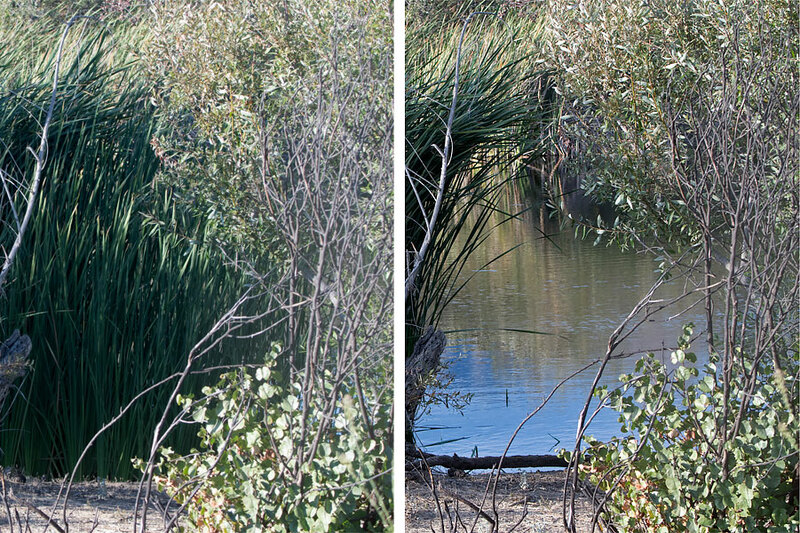 Left: before (is there a lake there? ); right: after. ©Nancy Hamlett. View across the lake to the south shore. Left: before; right: after. ©Nancy Hamlett. 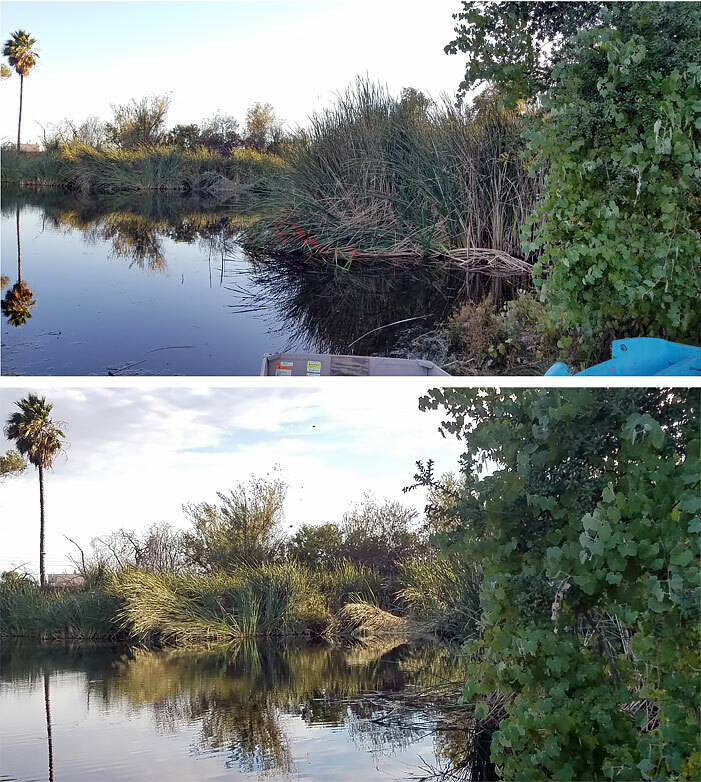 Cattails cleared from the west side of the boat landing. Top: before; bottom: after @Nancy Hamlett. 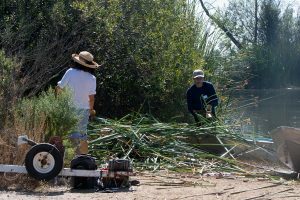 Cattail cutting will is scheduled to continue for the next two workdays so long as the weather cooperates. So if you’d like to have fun splashing around in the lake while improving the BFS, please join us on October 6 or October 20.